Margaritaville. Jimmy Buffet sang about being wasted away and searching for his salt shaker in it. I always figured it was a state of mind rather than an actual place. But, no, it's apparently an actual place. Upwards of thirty places, as it turns out (the one featured in "Jurassic World" doesn't count). Jimmy Buffet's Margaritaville restaurants, owned by Buffett's Margaritaville Holdings LLC (a subsidiary of Cheeseburger Holding Company, LLC) has become a popular restaurant chain in tourist destinations all over the globe. And we had lunch at one today in Puerto Maya, Cozumel. Why eat a a chain when there are cheaper, less tacky, tastier local options? Because we have kids and kids want familiar food no matter what country they're in. For a tourist trap, the cruise terminals at Puerto Maya are really quite beautiful with a lot of photo ops. There are a lot of shops for you to buy cheap souvenirs and there are also restaurants that serve something closer to "authentic" local cuisine. Aside from the odd pushy kiosk vendor here and there, it's a nice place to spend some time. 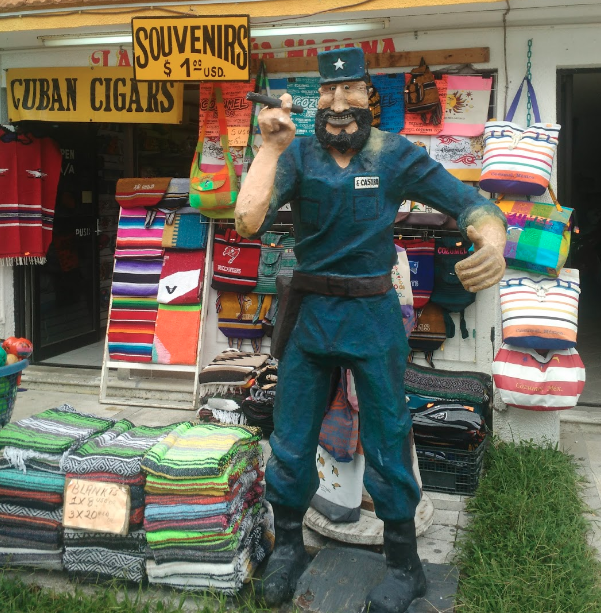 But, if you're a little more daring, you can find cheaper souvenirs, better booze, more authentic food and a little adventure if you simply wander outside of the terminal a little. Just across the street from the Carnival terminal is a place called Tequila Flavours. The beer is cheap, the margaritas aren't watered down, the food is good and the ambiance is nice. I sat down and shared some cips and guac with the girls. I had a few beers and they had Mexican Coca-Cola. They noticed a difference in taste from the American version right away and I explained how Coca-Cola is sweetened with cane sugar in most of the world, but sweetened with high fructose corn syrup in the United States. I don't care what John Pemberton says, I can taste the difference.